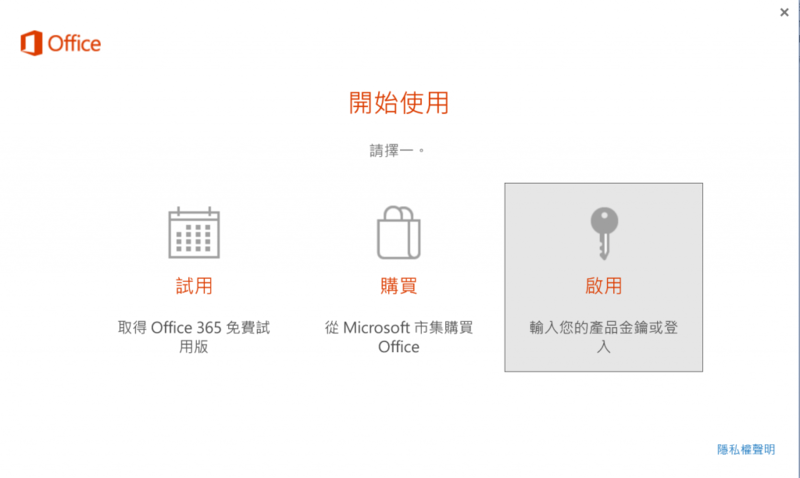 這個是預裝 Windows 和 Office 2016 但是沒有買 Office 2016 License 的電腦才會發生. This is strange problem, when update BIND this time, suddenly, DNS query failed. I cannot find reason, I thought that should be NAT problem originally, because it cannot all other domains but Intranet domain, So, after capture packet to observe it. found root cause eventually , the DNS server replay me Format Error. Ubuntu 16.04 應該是目前最穩定的版本, 所以以下的文件也都是基於 Ubuntu 16.04 寫的 最後的 Docker file 可以安裝和編譯該家公司目前大多數的 SDK, 或許也適合其他家公司使用. Some people run VM to compile SDK, but VM has one problem, every VM needs one disk, whatever virtual or physical. if have a lot of SDK versions, VM will be too heavy to run different version of SDK. Docker is a technical to provide container, it can isolate to run another OS with the same kernel. Docker just like chroot, can switch to another directory and run system inside the directory. So, if have problem on compile SDK, and wants to use another OS, use Docker means we don’t need to create new VM or find new PC to install new OS. It can save time on install OS. suggest to run Ubuntu 17.10 in VM. kernel is more stable than Ubuntu 17.04. Before use Docker, it needs to create new image with sshd. After create Docker image, we can use this image to run Docker containers. create a file name “dockerfile", this file will download ubuntu 16.04 official Docker image, and install/run sshd. this dockerfile will create only one account “root". Following is contain of file name “dockerfile", please save it as file “dockerfile"
if you don’t want this image, use docker rmi to remove it. At least, it might have another requirement about to use other OS like centos. -v /work:/work means it can share host /work with /work inside docker. –privileged=true can allow mount loop back devices. it can also use outside Docker image resource, like rastasheep. rastasheep provides a ubuntu sshd environment, so, that means it doesn’t need to create Docker image ourselves, if just need a sshd environment. run following command to create a docker container from rastasheep, it will download some files from internet. if needs to fix the binding port, it can use -p parameter, for example, following command will assign localhost port 40001 to port 22. please notice, only can assign it before create it. Now, it has running docker container, next step is to use ssh to login docker container. in previous docker ps information, we can know sdk620’s open port is 32769. Now try logging into the machine, with: “ssh -p ‘32769’ ‘root@localhost'" and check to make sure that only the key(s) you wanted were added. Please understand, this Docker image only contain basic function, even doesn’t have some basic commands like sudo or other commands. Here is some example commands to install basic packages. First, modify /etc/apt/source.list , replace “# deb-src" with “deb-src" remove # and include all source packages. # following line is local proxy example configuration file. It will take ten minutes or more depend on network speed. After finish build image, it can use following command to check current status. Then, we can run new Docker container with this image. Ff project closed or don’t really need Docker container, it can be removed. use docker ps to find which one container we don’t need. Sdk510 with centos7 will fail to compile, I don’t need it. run following command to stop it. run following command to remove it. once you remove it, you cannot recall it back. ERROR: Add correct host key in /home/username/.ssh/known_hosts to get rid of this message. ERROR: RSA host key for [localhost]:32769 has changed and you have requested strict checking. Just run following command to remove it. $ ssh-keygen -f "/home/username/.ssh/known_hosts" -R "[localhost]:32769"
if rootfs is 18.04, there are some minor change between docker file. 1) Cannot use change root password to login system. reason unknown. 3) need to configure time-zone. but it can use different way to login system : ssh login with key. it needs minor change to dockerfile. if you don’t have ~/.ssh/ida_rsa and ~/.ssh/ida_rsa.pub file, it can generate ssh key with command and copy file to your docker folder. following is docker 18.04 file , if you are not in Taiwan, please also change zoneinfo to your timezone accordingly. 不知道什麼時候開始, 我的 Firefox 就變得奇慢無比, 有時速度又很正常. 我找來找去都找不到原因, 有時一開始正常, 都是用一陣子之後又變慢了, 有時關掉重開可以恢復, 有時又不行. Chrome 和 IE 都比 Firefox 順. 有看過官網的文章 Firefox is slow – How to make it faster, 但是仍然無效. 大家都提到關掉 Nvidia 3D 加速的功能可以讓 Firefox 恢復正常, 實際執行之後, Firefox 終於恢復正常速度了. 因為我用的是 Thinkpad T420s, 有個 Notebook Nvs Optimus 技術, 所以可能是使用內建顯卡時, 速度就會正常, 如果是用 Nvidia 顯示時, 速度就會變慢. 下載新版的 Nvidia Driver 有改善，但是經過一天的測試, 認為預設設定還是該使用 Intel 內顯效能比較好, 不要再用 Nvidia 3D 加速.